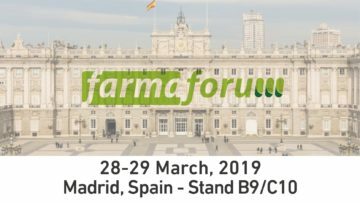 Comecer will be present at the Spanish Farmaforum exhibition with our local partner TCI. You will find us at IFEMA Madrid – Hall 8 – Stand B9/C10. We will be showing the latest developments in barrier technologies for Pharma and ATMP. Meet our Area Sales Manager, Mirko Tassinari and get all the details on how our capabilities in customized aseptic automation integrated within isolator technology can address the specific requirements of your filling and assembly lines. Watch our aseptic IV-bags filling line under isolator technology video. 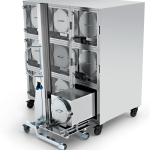 MCCI (Modular Cell Culture Isolator) is a new generation of isolators. It allows the expansion of production capacity in new and existing cell factories as well as Advanced Cell Therapy applications, while still operating within the ever restrictive confines of various regulatory bodies and industry guidelines.